"Hi! 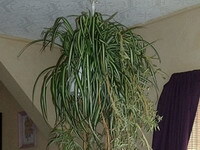 I have one spider plant left that is dying. The leaves turn a flimsy brown from the tips, that then moves back till it is dead. I have a water meter, and check it once a week to see if it needs watering. The others have died this way too. Please help! Thank you for any advice you can give!" 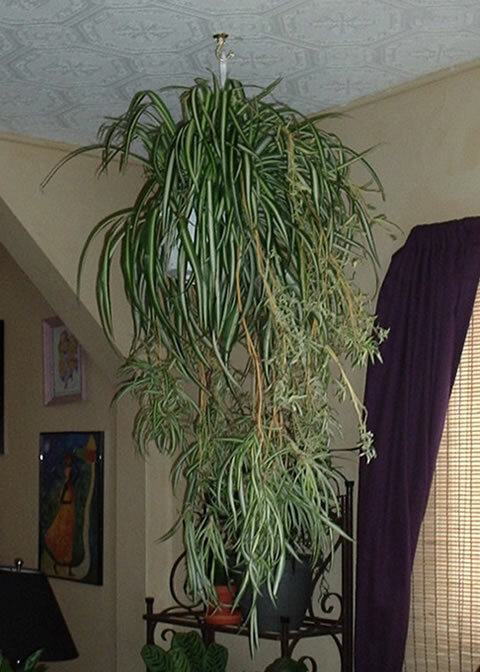 Spider plants need bright natural light but they will sunburn if grown in direct sunlight. 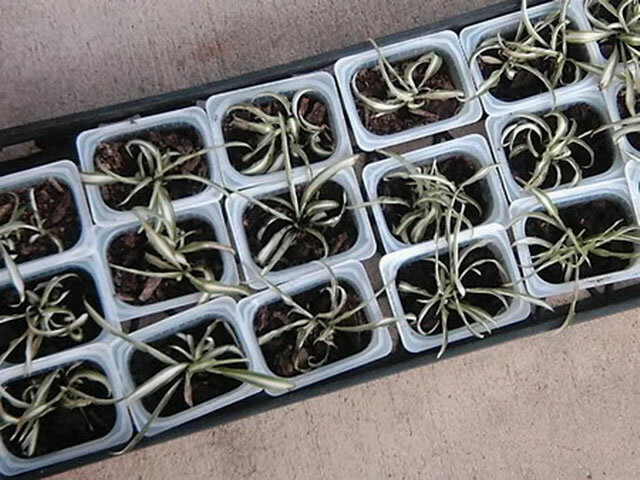 Spider Plants also thrive when grown under artificial grow lights, but they will be reluctant to produce the plantlets unless you decrease their light hours to simulate the naturally shorter days of fall, when they normally produce their 'babies'. They prefer to be grown in a cooler (55°-65° F.) room but will tolerate warmer temperatures. Feed your plant every 3 or 4 months with any house plant fertilizer. Damaged Spider Plant foliage can be trimmed with a pair of clean, sharp scissors if necessary. until the tips brown out! Tip burn is usually caused chemicals in the water. If you are using city water for your plants it has been chlorinated, and very likely has been treated with fluoride as well, either of which chemical will cause the tip burn. Using rainwater or distilled water will take care of this problem. Tap water should be allowed to set for at least 24 hours before using it to water a Spider Plant. Over fertilizing can also seriously damage your plant, so when you feed it, use ½ of the recommended strength. 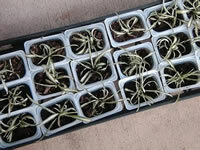 Spider plants are very easy to propagate. The ideal method is to allow the plantlet to root while it is still attached to the mother plant. Set a pot filled with sterile potting soil within reach of one of the plantlets and just place the offset onto the surface of the soil. If necessary you can pin it in place with a bent paper clip. When the young plant has rooted in 7-10 days just sever its ties with the mother. If it is impossible to use this method, look at the base of the plantlets and choose one with a fleshy, healthy set of roots rather than choosing one with good foliage. Sever it from the parent and follow the same procedure, pinning it to a pot of soil. This method of rooting will take about a month.